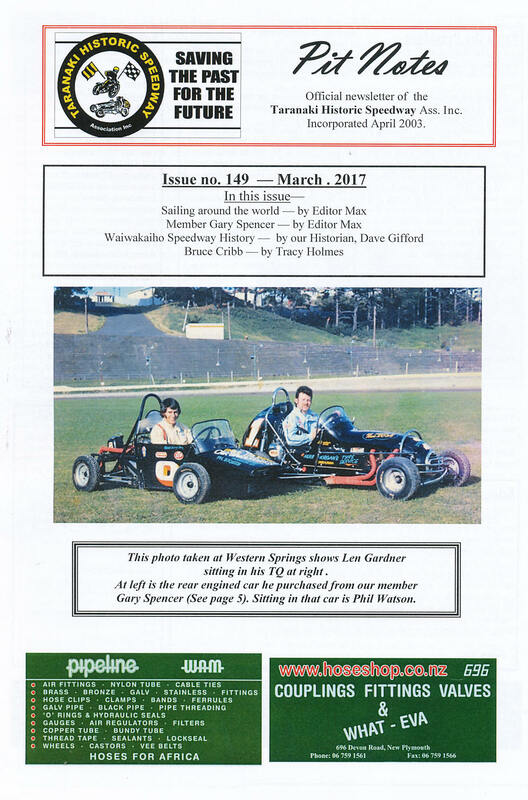 Free samples -- Our club newsletter "Pit Notes" is recognised for its content of Historic and Topical motoring articles. It has been widely read since 2003 by members throughout New Zealand plus in Australia and USA. It is distributed to our members each month (except January). It can be mailed to the members address or emailed as a pdf copy. If you live in New Zealand you can join our club here and enjoy the newsletters and can attend our monthly meetings to hear our guest speakers each month. If you own a retired speedway vehicle you could attend our several "Fun runs" we have each summer (NOTE- we do not race our vehicles but enjoy driving them at our own pace in 'spirited demonstrations') Full membership is $35 for NZ members. Below are some free samples for you to check.